We all want that perfect baby soft skin but who has hundreds or even thousands of dollars to spend at a beauty spa? Not this girl and I'm sure there are a lot of you with me on that thought! So it's my job to share all the random finds I come across that can help a girl out! 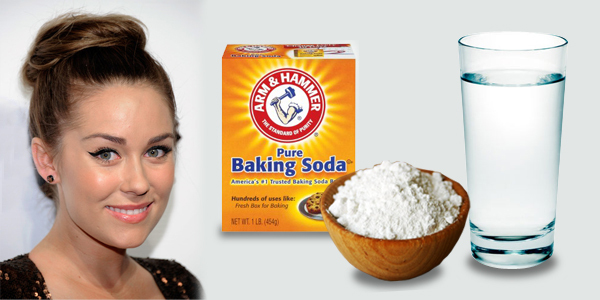 And tonight post is no different, this simple little mixture is used by Lauren Conrad herself! It's so simple and is made with everyday ingredients found in your home. Yes, water and baking soda. That's it! These two simple ingredients give your a magical microdermabrasion facial for under the price of $3.00! Simply take 3 parts baking soda to 1 part water mix till you get a paste consistency apply in a circular motion and rinse. THEN BAM! Beautiful smooth and polished skin! Love how simple and cost effective this wonderful little mixture is! I am if it's great! Spending lots of money a year on products to clean my face and long term, I realize that is much the damage will also do, this seems very natural, apart from being economical, so I'll try.